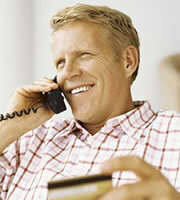 Consumers looking for low credit card rates will have to search diligently as the new year unfolds. After hitting a record high of 16.85% in early December, average credit card rates offered to consumers on new accounts stayed perched at the peak as the year closed, according to the most recent IndexCreditCards.com survey. The average rate for the overall consumer market is the highest since IndexCreditCards.com began tracking credit card rates in 2005 and more than half a percentage point above the average rate of 16.28% in January 2010. That overall consumer rate includes both non-reward and reward credit cards. The average rate is higher for strictly rewards credit cards--topping 17.5%, more than 2 percentage points above the average rate for non-reward credit cards. Issuers charge more interest on reward cards to pay for the cash-back, merchandise, airline miles and other bonuses awarded to users for using the cards. Average rates for all of the credit card categories remained the same since the survey in early December and are well above year-ago levels. Business credit card rates have risen faster than any other type of credit card in the last year. The average rate offered to small-business owners for new accounts is now 14.72% for non-reward cards versus 13.39% in January 2010. The average rate offered for business reward cards is currently 16.21% compared to 14.53% in January 2010. Rates for student credit cards have risen at a slower pace than other credit cards. Rates for new student credit card accounts currently average of 16.21% versus 16.00% a year ago. The student credit card market underwent a major shift in the last year after new federal credit card regulations went into effect in February. Those regulations, which also restricted interest rate increases for other consumer accounts, banned credit card issuers from marketing cards on campus and offering free merchandise to college students for filling out credit card applications. They also required college students under 21 to get adult cosigners for accounts if they could not prove they had sufficient income to pay their bills. Most of today's credit card rates are variable, which means they include a margin set by the credit card company added to an index, typically the prime rate. Federal rules prohibit credit card companies from raising interest rates on new purchases within the first year of an account or on existing balances, period, unless customers are more than 60 days late on payments. But that doesn't mean variable rates can't rise without customers' permission. The federal regulations apply only to the margins credit card companies set; if the prime rate goes up, the credit card rates consumers pay will go up proportionately. The survey does not take into account temporary promotional interest rates, such as those common in balance transfer offers. Rates included in the survey are those that kick in after the promotional periods end. Financial institutions represented in the survey include American Express, Capital One, Chase, Citi, Discover, HSBC, PNC/National City, Iberia Bank, Simmons National Bank, U.S. Bank, Wells Fargo, and more.